Waste innovator appears for second year in a row, ranking No. 873 with three-year sales growth of 454 percent. Westlake, Ohio – Aug. 18, 2016 – Inc. magazine ranked Budget Dumpster No. 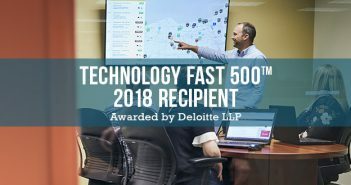 873 on its 35th annual Inc. 5000, the most prestigious ranking of the nation’s fastest-growing private companies. The list presents a unique look at the most successful companies within the American economy’s most dynamic segment—independent small businesses. Budget Dumpster appears on the list for the second consecutive year and is up 93 positions from 2015 (No. 966). The 2016 Inc. 5000, unveiled online at Inc.com and with the top 500 companies featured in the September issue of Inc., is the most competitive crop of businesses in the list’s history. The average company on the list achieved a three-year growth of 433 percent. The Inc. 5000’s aggregate revenue is $200 billion, and the companies on the list collectively created 640,000 jobs over the past three years, or about 8% of all jobs created in the entire economy during that period. Fenn and co-founder Mark Campbell founded Budget Dumpster to disrupt a waste industry niche – temporary roll-off dumpsters – that was ripe for innovation. Since inception, the company has seen annual double-digit revenue growth, including 45 percent growth in 2015 alone. Inspiring Scaleup CEO award, from Jumpstart Inc. Complete Inc. 5000 results, including company profiles and an interactive database that can be sorted by industry, region and other criteria, can be found at www.inc.com/inc5000. Established in 2009, Budget Dumpster delivers affordable waste removal services in 46 states and most major markets throughout the United States. Working with over 250 local partners, Budget Dumpster sells thousands of temporary roll-off dumpsters each week for projects big and small. 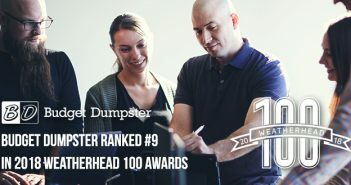 Based in suburban Cleveland with a growing team of over 60 employees, Budget Dumpster has been recognized as one of America’s fastest growing companies by the Inc. 500 (No. 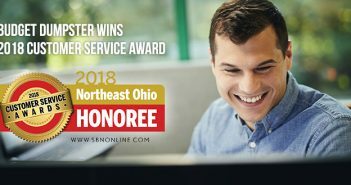 873 in 2016), one of the top five fastest growing companies in Northeast Ohio by Crain’s (2015), one of the largest waste and recycling firms in North America (No. 67 in 2016) and one of Fortune’s Most Flexible Workplaces (2016). Learn more about how we help people and companies each day at www.budgetdumpster.com.